"With delicate precision and utmost tenderness, and while being prudently mindful of you as the centre of your aesthetic concerns, we strive to bring out the natural beauty from within you." Let our staff take care of you. 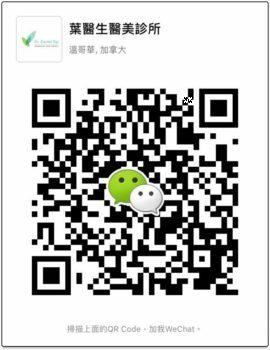 Dr. Yip is known for his compassion and patience to ensure your comfort and accommodate your needs. A large variety of treatments available to fit your needs. Many non-invasive and painless options! 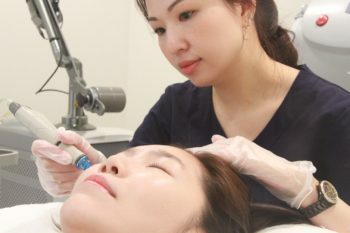 Count on Dr. Yip to deliver quality results. View our before and after galleries to see what our treatments can do for you. Dr. Yip has the experience you can rely on. I had every treatment that Dr. Yip had to offer. Injections, laser melasma treatments, Infini radiofrequency. Great results. Dr. Yip was very patient and also very compassionate. He is a very good doctor. I had filler injections and lipo-transfer for my face. My whole face is rebuilt. The fat procedure was amazing. I had twenty-three ml. of fat. My face has nice now. The nasolababial fold is lifted. The chin is so much nicer. It is also so economical compared to filler price. Dr. Yip cleared my melasma for me after twelve treatments. My melasma was very serious. I had treatments before in my country, they did not work. I am so happy that my face is clear now and I can now go out without make up. Very thorough and informative consultation. I am very impressed. Will definitely follow through with Dr. Yip’s proposed treatments. 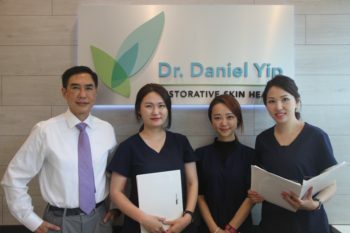 Dr. Daniel Yip has been my family doctor for over a decade, and I eventually decided to visit his new business, attached to his family practice, for an aesthetics consultation. It was my first time meeting with a doctor for information about melasma and Botox, and I actually felt comfortable discussing my concerns. I eventually received treatment for my melasma, with very satisfying results, and will likely book an appointment for Botox in the near future. Yes- the wait times were notable- but I really do appreciate his approach as a doctor, and feel that the longer waiting times reflect his genuine concern for each client or patient and their individual needs. He doesn't rush for a reason, and I'm happy to wait for an appointment if it means I'll be treated with care and respect... which is the case with him. Client comment on Rate MDs. "Dr. Daniel takes time with each of his patients. He is kind, warm, gentle, and caring. He is respectful and respectable. I value his compassion and his willingness to take the time with each of his patients to listen, understand, and explain. Because I know that Dr. Daniel treats his patients with concern and devotes extra time to each one, without making one feel rushed or pressured, I am content to wait a little extra time in his office waiting room for my appointment, if he is delayed, while he attends to other patients' needs." "Dr. Daniel Yip is one of my favorite doctors that I have dealt with all my life. I have had a lot of health issues and is now 44 years old. As far as a medical doctor and an aesthetics specialist he is very thorough, takes the time to consult with you and does his job very well. I have moved to a different province now and I fly back to BC just for aesthetic work. He's worth every penny. I highly recommend him as a family doctor and/or for any of your aesthetic work. Excellent doctor." We have a solution for every skin concern that you may have.